Why can my thin friends seem to eat whatever they want but I gain weight so easily even when I try to eat less? How come I always give into food cravings and feel out of control around certain foods? Why do I always try to solve my problems with food and how can I stop sabotaging myself? These Results Are Within Your Reach! An Intensive, Interactive Journey That Will Change Your Relationship with Food Forever! Co-created by Over 20 Leading, International Wellness Professionals! Each module will dive deep into your core beliefs and food habits, so you can finally breakthrough, make major mind shifts, and get unstuck from your fat loss goals. End your struggles with food for good, radiate confidence and enjoy your life again! Unlike diet programs which only attempt to solve the symptoms (losing weight), the goal of this program is address the root of your food challenges so you can stop obsessing about food and your body image and live life FULLY engaged – while burning fat and feeling amazing! Are you putting your life on hold until you reach a certain weight or fit into your goal clothing size? This program will help you remove your mental barriers and stress around food and eating so that you can enjoy life NOW. I'M TIRED OF DIETING AND WANT TO LOSE WEIGHT & FEEL GREAT FOR LIFE! How to consistently lose fat with a simple, flexible eating approach. How to break free from deprivation diets that leave you physically and emotionally depleted. The root cause of your cravings and how to handle them. How to stop the negative self-talk that keeps holding you back from living the life you want in the body you want. The connection between stress and eating and how to manage both for maximum fat-burning. How to fit healthy eating into your current lifestlye – without silly, nonsense rules and restrictions or spending all day cooking complicated meals in your kitchen. How to practice stress mastery, relaxation, and self-awareness techniques for abundant living. How to set yourself up for long-term success by replacing old, destructive habits with a new, healthy mindset and habits that serve you. I get it. You have tried so many diet programs and all of them work at first, until you have a bad day and go way off plan! You beat yourself up, blaming your lack of willpower for not being able to consistently stick to your diet. Then you try another diet, and the cycle repeats. At this point you are so confused about knowing what to eat and how much. There is just so much conflicting information out there! And in the meantime, as you bounce from program to program, hoping the next one will stick, you feel like a failure. You look in the mirror and don’t like what you see and feel frustrated and depressed. Can you relate to this? You don’t need another diet! What you need is real way to change your behavior around food. To change your behavior, you first must change your thoughts. To change your thoughts, you need to be aware of them. You must bring your subconscious thinking patterns about food and eating into the open and boldly challenge each of these beliefs one by one. Only then will you be able to work on creating new healthy habits that will last for life. And don’t worry – we are going to do this together in simple, small steps. Willpower is useless, your body will always get what it needs. What you eat affects what you crave, how much energy you have and how you feel. So, by changing your thought patterns around food, you dramatically improve your health, body image, and energy levels…without the struggles of dieting. Emotions affect our cravings and sometimes we strive to fill an emotional void with food instead of another comfort. In this program you will be armed with strategies to help you find your unique triggers and break free from this cycle. Stress also impacts fat-storing and digestion. You need to eat in a way that creates the optimal conditions in your body for satiety, energy, inner peace and balance. The body does not like extremes! It responds better to small changes that it can gradually adjust to. Your mind and body must work together – pitting one against the other has never worked and it never will! In this program you will learn how the mind and body affect one another and how you can use this information to your advantage to finally reach and maintain a healthy body weight for life. Unlike many commercial diets out there, you will take what you learn and use it to work with your current lifestyle. Instead of rearranging your life to fit into the plan….you fit the plan into your lifestyle! Instead of relying on willpower you will work with your biology so that cravings will be a thing of the past and you feel satisfied and enjoy your healthy journey, every step of the way! I WANT TO TRANSFORM MY BODY NOW! Deprivation and sheer willpower aren’t the keys to successful weight loss and optimal nutrition. The key is integrating new behaviors into your daily life so that they become a natural part of you. You can challenge your current subconscious thinking patterns around food – and create new, healthy habits to last a lifetime. Plus, I designed all the techniques you’ll learn in this program to help you take off those extra pounds – and keep them off! “My biggest struggles are time and motivation. I have a very crazy lifestyle – like most people with kids and jobs. Staying on track has been a challenge because when I fall off the wagon, I tend to give up. Now I am trying to stick with your mantra that healthy eating is a life-long journey and making small steps will eventually make big changes. I'M READY TO TRANSFORM MY RELATIONSHIP WITH FOOD NOW! Weekly LIVE group calls where we will go over the modules, answer questions, and connect. Calls will be recorded so you never have to worry about missing anything! Members-Only Facebook Group Get the accountability and support you need in between meetings to make every day a success. 24/7 Email Support If you have personal questions and would rather not share in the group I am here for you! Lessons on simplifying food, fitness, and mindful eating so your brain is wired to embrace these new habits! 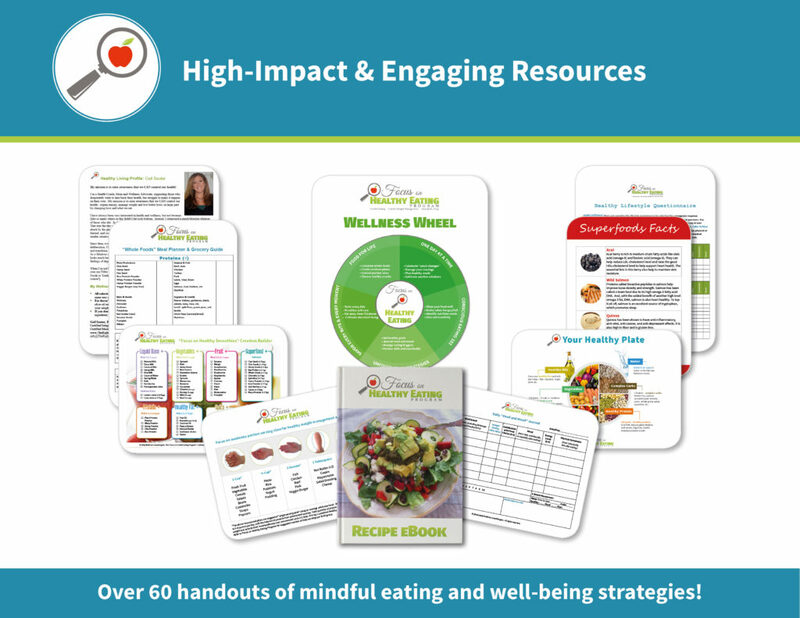 Focus on Healthy Eating Food and Mood Journal, to help you identify your triggers and discover personal strategies for how to effectively manage them. Weekly “Take Action” activities to put your learning into practice and cement new healthy habits. Healthy Habits Weekly Journal, to help you set attainable weekly goals and keep you on track. Focus on Healthy Eating Recipe eBook with 60+ recipes including Vegetarian, Vegan, Gluten-Free and Diary-Free options. Whole Foods Meal Planner and Grocery Guide, to help get you organized, end confusion and drastically improve your success. Health Coach Interview Series – 10+ Health Coaches share their personal journeys and tips to help ensure your success. Bonus Trainings to Show You How to Set Yourself Up For Success with Your New Lifestyle so after the program ends you have all the tools you need to keep going! I will release a new workout each day in our Facebook Group. All exercises can be done at home, with no special equipment necessary. The exercises can be modified to fit your current fitness level. You will be doing the workouts as a group so you will have REAL accountability and support. You will celebrate your success with the rest of the group and stay motivated with a circuit style, fat-burning workout that can be completed in 30 minutes or less! Need More Personalized Attention? 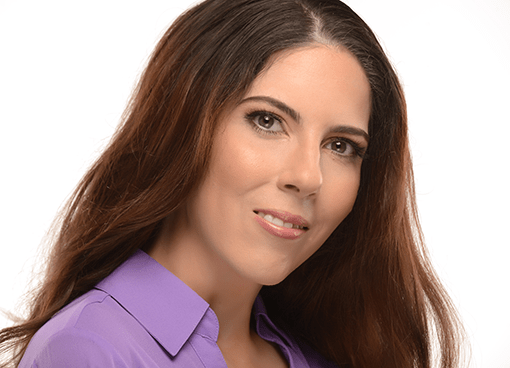 I offer individual support including private, one on one laser coaching calls and text check-ins to help you stay on track. The first step to your success is to start where you are. You will discover what is holding you back from living healthy, fit and strong. You will be introduced to a back to the basics, sensible way of eating that will lay the foundation for you to build healthy habits for life. Through several thought-provoking exercises you will be able to go deep within to identify destructive, self-sabotaging beliefs and attitudes that keep you stuck where you are. You will create empowering goals based on where you are starting from and where you want to go. The sky’s the limit! You will learn how to eat in a way that is nutritious and sustainable for long-term weight loss and maintenance. In other words – you can have room to incorporate your favorite foods and still get results. You will learn strategies based on science that keep you in an optimal fat-burning state, vs. a fat-storing state. Find out which foods to focus on and how to crush cravings before they even start. You will develop a mindful approach to eating that doesn’t feel stifling or boring! The best part is, that mindfulness training will carry over and benefit other areas of your life including your relationships, level of personal stress, and ability to be resilient in the face of challenge. These are skills that will enhance the quality of your life forever! Nourish yourself…one meal…one thought…one step at a time! Tune into your true hunger needs and find out what to do when you find yourself “stress eating” and turning to food to soothe your emotions. You have unique eating triggers and need a personalized approach to illuminate emotional eating triggers that you may or may not have been aware of. You will learn what those influences are and address the motivations behind them so you can prepare yourself with healthier, non-food related coping strategies. You will learn how to replace mindless with mindful eating habits by being attuned to body cues relating to hunger and nutritional needs. I will prepare you with success strategies for every situation from eating out in restaurants, making dinner, and finding the right go-to snacks. We’ll talk about what information really matters on food labels to make your grocery shopping a breeze AND I will reveal my easy meal prep system so you don’t have to spend hours in the kitchen cooking and cleaning up dishes! In this module I will also cover why willpower is overrated and how to trust and honor your body so it will reward you with good health, vitality, and less stored fat. “Everything you need will come to you in the perfect moment, when you are open and ready to receive.” You will learn what supports you need to make everything you are learning a lifestyle that continues long after the program is over. Learn how to strengthen your mindset to overcome challenges and set your environment up so you are prepared for success. Build your team and find wellness buddies who will keep you accountable so you can continually uplevel your life and achieve goals you never thought possible! It is through mindful living that we create the space to become a mindful eater! Through your Mindful Living Toolkit, you will learn how to implement self-care practices into your life for complete overall wellness. Being mindful doesn’t mean sitting silently listening to chanting in a dark room for an hour. It is really about STOPPING what you are doing and being AWARE. We will teach you how to incorporate mindful moments so you will enjoy life, savor it, and live life fully. Small changes lead to big results! Your mind and body are in sync – you naturally crave healthier, more nourishing foods because you know how good they taste and how amazing they make you feel. You no longer feel tired, bloated, or experience out of control feelings around food. You feel energetic and well-balanced physically and emotionally. Food no longer has a hold on you nor does it make up a huge portion of your thoughts. After losing several pounds, you need to buy some cute new outfits! You feel free and blissful and truly enjoy life and love your body! Stop Struggling to Figure Out What To Eat – Carbs or no carbs? Is fat good or bad? No confusing “food rules” or complicated meal plans. You will learn how to upgrade your nutrition and STILL have room for treats and indulgences. You will never feel deprived or be forced to eat foods you don’t like – EVER! Lose weight but don’t want to spend hours shopping for, planning and cooking meals. You choose the foods you want to eat. That is the ONLY way you will be successful long-term. You’ll learn how to eat whether you’re traveling, playing chaffeur between your kid’s sporting events, or just trying to figure out how to make something quick and healthy. Shrink Your Belly – Even thin women can have extra belly fat! It has to do with so much more than nutrition. We will target belly fat and other stubborn fat you have been trying to get rid of for years by priming your body to mobilize fat tissue in the gut. Feel Refreshed – Lack of sleep, especially lack of the deep, restful kind, can halt fat-burning in its tracks. Learn how to prime your body for rest and ensure your brain and body’s muscles are repaired and rejuvenated each and every day. Look and Feel Youthful – Get glowing as you get rid of toxins and embrace quality nutrition and your skin will thank you with a healthier, refreshed appearance. Healthy eating and exercise are the real fountain of youth! Feel Energetic For More Than Just the Morning – If you are sick of the afternoon energy slump, get ready to say goodbye to it forever. Learn how to eat for balanced blood sugar and lasting energy. You’ll stay satisfied all day long. Dump the Brain Fog – Learn how to eat for optimal brain power and clarity. Stay sharp and alert without excess caffeine or stimulants. Conquer your Cravings – What you eat often dictates what you crave. Chronic stress, lack of quality sleep, and other lifestyle factors can increase cravings for sugary, salty and fatty foods. You will learn how to stop most cravings before they start and how to handle satisfying your cravings without overeating. Drop Those Extra Stubborn Pounds without Counting Calories – You will learn how to naturally take your body out of fat-storing mode and get back into fat-burning mode – without supplements, pills, or shakes. Feel Positively Radiant and Confident in Mind, Body & Spirit – This unique program isn’t just about healthy eating but healthy habit building and total well-being in every area of your life. This is what makes my program different from the rest. 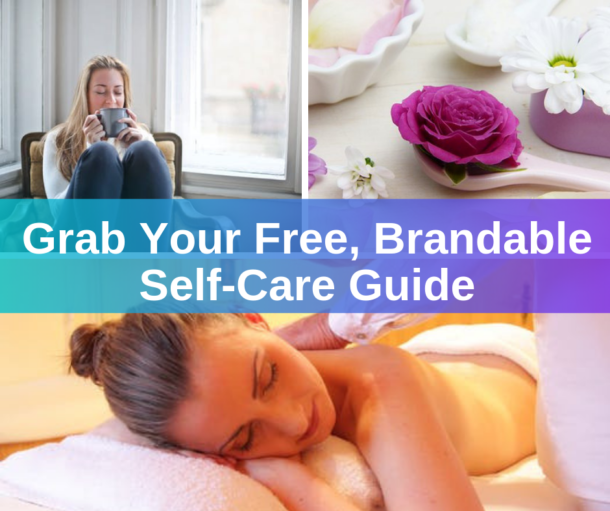 You will feel totally confident as you nourish your body with wholesome foods, identify and wipe out negative thoughts and behaviors that hold you back, and learn how to incorporate self-care into your routine. I'M READY TO LOSE WEIGHT WITHOUT THE STRUGGLE! Your New Body and New Life Are Just 12 Weeks Away! Questions? Contact me today: jill [at] jill-kane.com. Give yourself the gifts of health, joy, and a higher quality of life. You deserve it!